Carlo Rubbia, former CERN Director-General, appointed Senator for life by the President of Italy. Stop fighting alone, let synergy rule! The EU-cofunded project ULICE (Union of Light Ion Centres in Europe) was launched in 2009 in response to the need to share clinical experience in hadron therapy treatment in Europe and knowledge of the associated complex technical aspects. After four successful years of activity the project is now over but the “transnational access” idea will survive thanks to an extension granted by the European Commission. 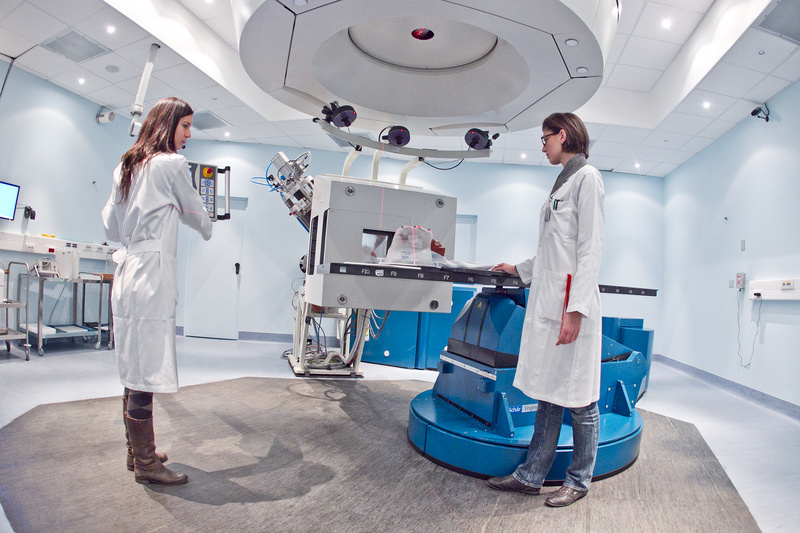 A treatment room at CNAO, the Italian centre for hadron therapy. CNAO is participating in ULICE’s transnational access initiative. Image: CNAO. Until a few years ago, the landscape of hadron therapy in Europe was advancing in a fragmented way and facilities were being built without a common shared approach. EU-cofunded projects such as ENLIGHT, ULICE, PARTNER, ENVISION and ENTERVISION helped to build a unified platform where the different – private and public – stakeholders were able to share their views and practical experience in the field. Networking and sharing are key elements of hadron therapy because the field is developing fast and techniques have yet to be optimised. The efforts made by the European hadron-therapy community recently gained prestigious recognition when the European Commission chose the ENTERVISION programme as a “gold project” in the advertising campaign for Horizon 2020. Watch the video about ULICE's Transnational Access initiative including interviews with doctors and hadron-therapy experts from various medical centres in Europe. The second International Conference on Translational Research in Radio-Oncology and Physics for Health in Europe (ICTR-PHE) will take place from 10 to 14 February 2014 in Geneva. The abstract submission and early registration deadline is 30 September 2013.